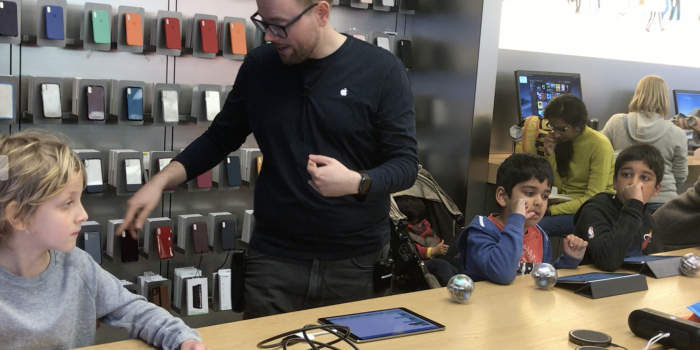 Apple at Kingston’s Bentall centre is holding ‘Family Camp’ to teach adults and children new digital skills during the Easter holidays. 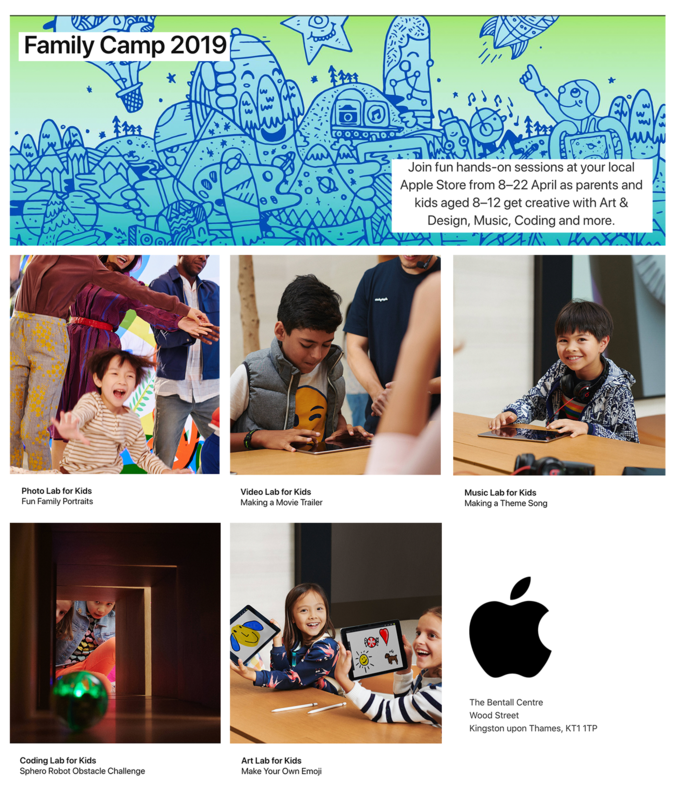 The camp which will run the free sessions between 8 – 22 April 2019 for adults and children of all ages as part of ‘Today at Apple’ sessions that were rebooted earlier this year. Today at Apple is a fun resource for families and children of all ages who are interested in coding, photography, art and design and more. Labs like the Sphero Robot Obstacle Challenge, Make Your Own Emoji and Fun Family Portraits were designed to help kids get creative. Since the launch of Today at Apple in 2017, Apple has held over 18,000 free sessions a week attended by millions of participants around the world. The Apple store will provide the equipment giving customers the chance to try out the latest Apple gadgets and software. To find and register for a Family Camp session, users can visit Today at Apple or the Sessions tab in the Apple Store App.